Baseball stirrups were all the rage back in the days when baseball players wore “knickerbockers” and they were considered a necessity. Now they’ve made a comeback as a fashion statement. 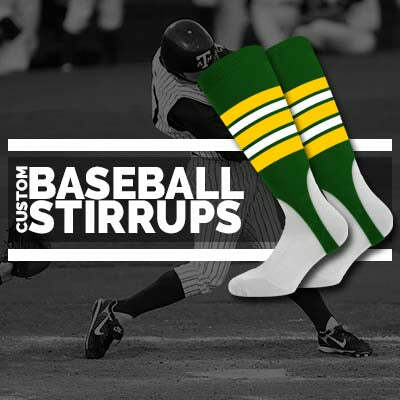 The custom baseball stirrups by Socks Rocks allow you to display your team’s colors in style. Why Buy Custom Baseball Stirrups from Socks Rock? Socks Rock has been providing athletes custom baseball stirrups for several decades. Our stirrups ensure that the sanitary socks are in place and that the brand and colors of the team stand out in the field during the game. Made from 100% nylon: Nylon is a soft, durable material that is highly resistant to abrasion, is quick drying and lightweight. Our baseball stirrups, made from 100% nylon, are able to offer enhanced performance to baseball players. However, if you are concerned for the best fit, we also offer custom baseball stirrups made from 95% polyester and 5% elastic. Manufactured in USA: We design and manufacture all our custom baseball stirrups locally. We have never outsourced any aspect of our process and never will. 3 different cut lengths available: We offer 5-inch, 7-inch and 9-inch cut lengths for the stirrups. The 5-inch is perfect for the ones who love the traditional style best. The 9-inch is the ultra-modern style that shows off the socks underneath that can be printed. The 7-inch offers the best of both. 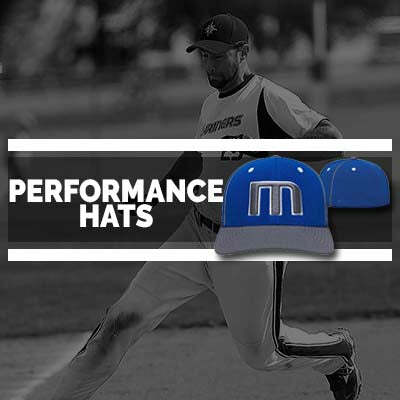 Unlimited customization: From Feather Edge and Cardinal to Ranger and Northwestern, we offer numerous patterns that can be customized to your brand colors, logo, and more. Durable, designed for performance: The tube construction, smooth toe seam and the double welt top offers optimal support to the wearer. If you’re looking for custom baseball stirrups for your team, start customizing and order! Build Your Own Custom Socks! Can't find exactly what you’re looking for? Let us build it for you! 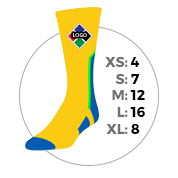 We have the ability to customize any sock to your specifications. Contact us to get started right away. Minimum 12 pairs, 12 per size. 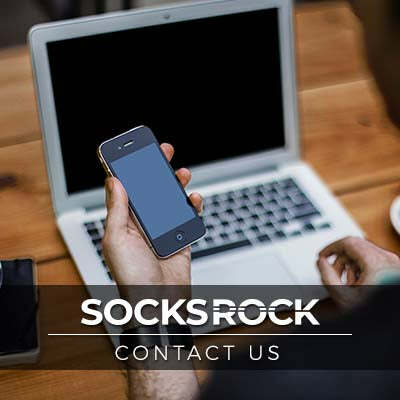 With fast turnaround times and low minimums, it's easy to see why Socksrock is the most popular socks, stirrups, and team appeal store online. All of our products are performance-grade and created for professional use, right here in the USA. Our advanced manufacturing techniques allow us the flexibility to customize every part of a sock. 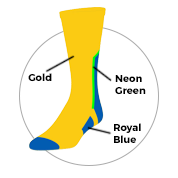 At Socksrock, you can customize your socks with any color. 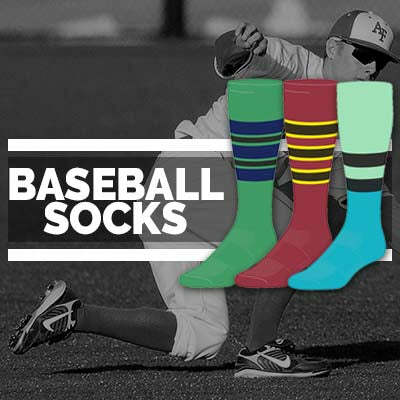 Pick from over 35+ colors to build perfect custom socks for your sports team or organization. 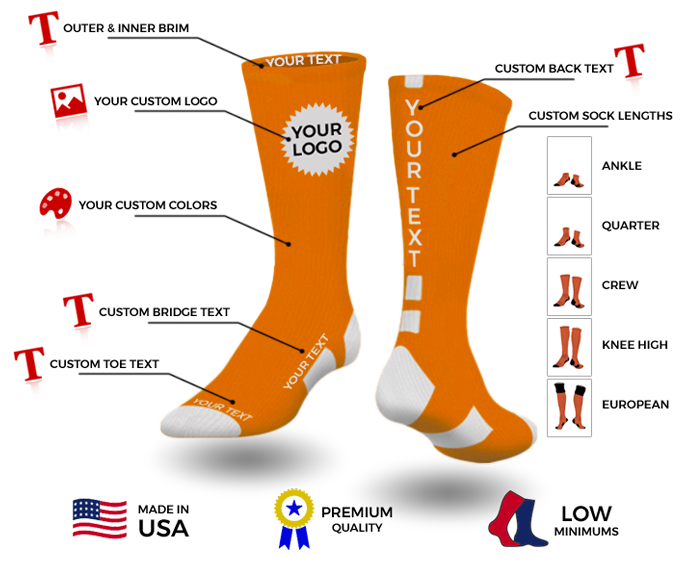 Add a logo or your mascot and build the ultimate custom socks for your brand or sports team. We can knit in any logo or image on your socks and help you make a statement. Choose a size that best fits the needs of your team and organization. Our socks are made in the USA with highest quality materials to ensure perfect fit.